financial conditions, and geopolitical tensions. Weak demand from Malaysia's export-oriented sectors will result in slower GDP growth. structural issues within key industries. We expect more reforms with the property sector as a potential beneficiary while we see risks for utilities. We are cautious on the broader market outlook, and are wary of the risks to growth if the trade war intensifies. However, we see stock-specific opportunities emerge. Our end-2019 KLCI target remains at 1,800 based on 16x blended 2019/20 earnings. 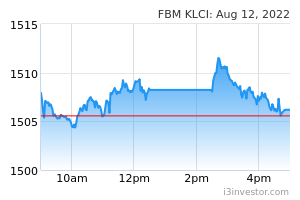 In a bear case scenario with further deterioration in trade tensions and growth expectations, the KLCI could hit 1,500 (assuming zero earnings growth in 2019; -2 SD of its mean PE). We see opportunities in: a) stocks that have been oversold; b) situational plays including beneficiaries of new government policies and trade war winners; c) high-quality names where earnings are resilient and there is less risk to be adversely affected by government policies; and d) M&As. Within these categories, our top picks are AMMB, Time dotCom, Hong Leong Bank, Gamuda, Axiata and Matrix Concepts.